Today I was working on a new doll pattern. This exploration has given me the opportunity to share a piece of the artist’s life with my readers. Not everything comes out the way you hope it will. I have experienced disappointment before. I’m used to it. For those young (or young at art), beginning artists out there, you are not alone! Even seasoned artists have to face disappointment from time to time. All you can do is try, and try again. I wanted to cut some of the steps in my pattern, so today I drew up a new pattern with the arms and legs connected from the beginning. My other pattern had to be sewn piece by piece with the arms and legs connected to the body after they were sewn and stuffed. I am not thrilled with the result. The legs kinda look like chicken drumsticks! 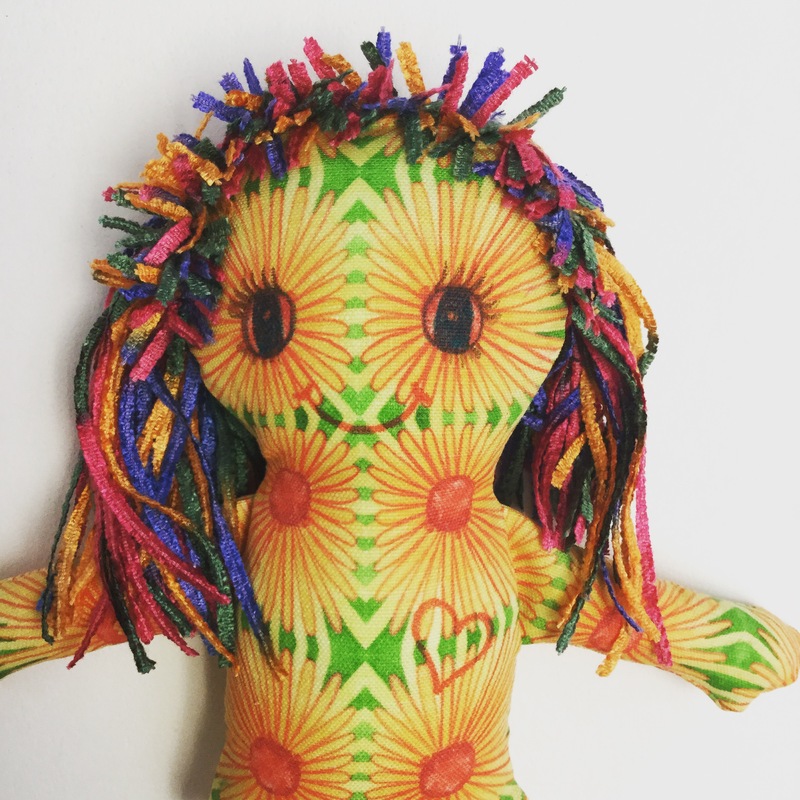 One issue I hadn’t considered, is having to sew up the doll at the top of the head instead of at the bottom where the legs are connected. The head is rounded, which makes it really difficult to hand sew it shut. There is a reason the pattern was made the way it is. The first doll I started today didn’t work out because I stitched the seams too close to the edge. I ended up with holes in the seam. The linen canvas I used was also a bit too stiff, hard to turn right side out after sewing. The red cotton fabric was easier to work with, but I still have the issue of sewing up the head. I may still be able to salvage that one, we shall see. New pattern using the red cotton fabric, this one may still be salvageable. Another problem I discovered was putting the body together from the beginning was not a good use of my fabric. I had to use a much bigger piece to get the whole body cut out. When the arms and legs are detached, I can use more scrap pieces and less fabric overall. I learned my lesson today. Back to the drawing board for another idea. 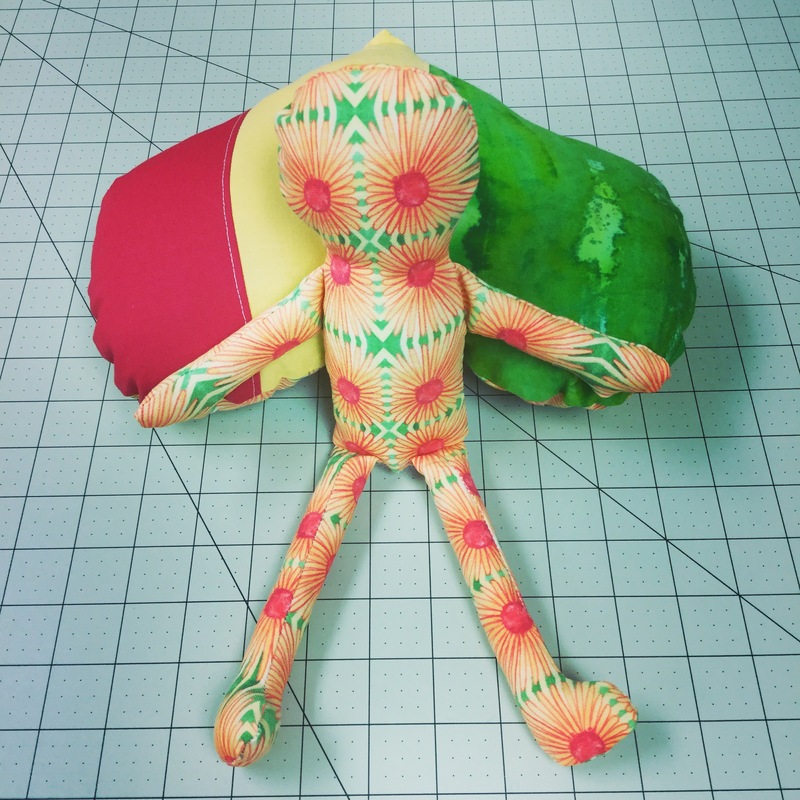 Next time, I think I will keep the arms connected to the body, but leave the legs detached so I can sew them to the flat bottom and then sew up the body from there. Both unfinished dolls, with stuffing the legs look even more like a chicken drumstick! LOL! I hope to have something more interesting to share with y’all on Thursday. Today? It’s a wash, I will chalk it up to a learning experience and move on. She’s done! This morning it was really difficult to get anything done. First thing when I got to my studio, I saw the news that Prince had died and I’ve been a mess ever since! Between tears I struggled to get the hair sewn onto this doll. I have loved his music and the man since the early 80s. He was and still is one of my all time favorite musicians. He was funky, groovy, and just plain magical! RIP Prince, your music will live on forever.